Cyber Safety, part of the EC-Council | Press series, is designed for anyone interested in learning computer security and networking basics. 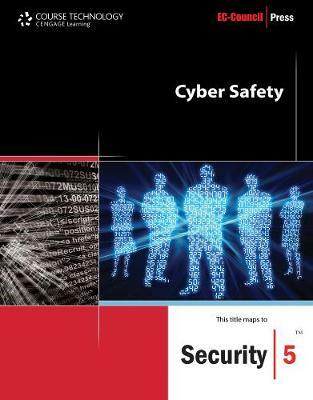 Beginning with an overview of cyber crime and security, Cyber Safety explains basic security procedures and challenges that arise in the workplace, and includes discussions of the various security threats and attacks to which today's computer users are vulnerable. The reader will also learn how to address incident response and how to restrict site access, identify secure websites and establish security for a wireless network access point. Working safely on the Internet is a focus of the book, including topics such as transacting business, communicating via instant messaging, and using portable, wireless USB devices, as well as using media files and third-party software. Cyber Safety provides readers with a solid base of knowledge to work towards Security|5 Certification or simply to better protect themselves and their information.